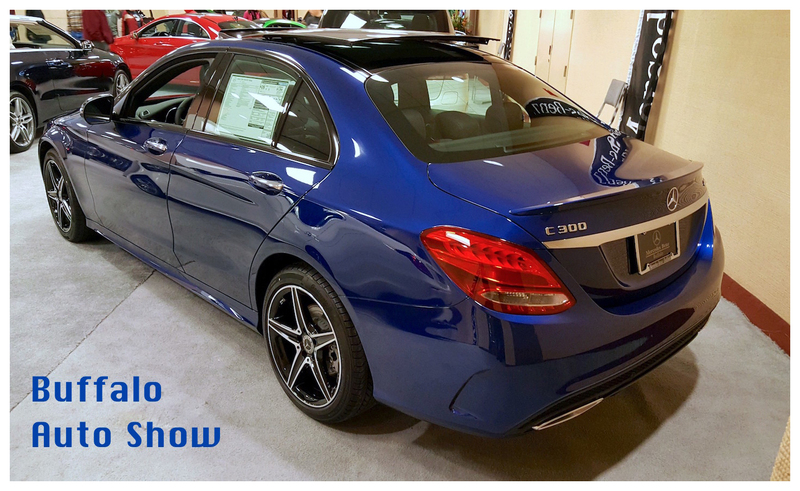 Continuing our short series on our favorite vehicles seen at this month’s Buffalo Auto Show (so far we’ve looked at Ford’s Focus RS and Honda’s Ridgeline), this week we take a look at the latest compact sedan from Mercedes-Benz, the C 300. Although I’ve never owned a Mercedes, I came that close back in 1974 when I spied a used late-1960s 250 on the lot of Hal Casey Volkswagen in Hamburg. (I won’t tell you what I bought instead. Sigh.) Back then I really admired their squarish, boxy styling and their reputation for quality. Lately though, the Benzes are looking a bit too much like almonds-on-wheels, IMO. It’s a shape that to me just doesn’t look great on a large sedan. 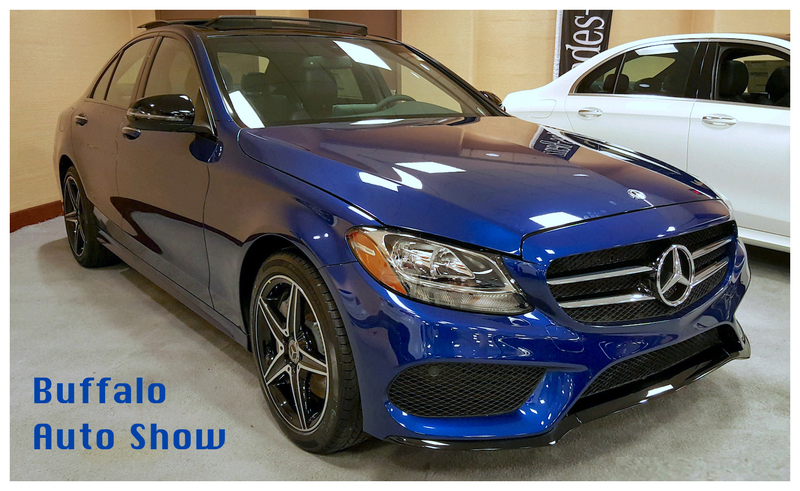 But the new C 300, scheduled to go on sale later this year, really caught my eye at the auto show. Maybe it was the Brilliant Blue Metallic paint job, which looked great under the lights, but I’ve gotta say that the car itself just looked right to me. It’s shape works well with its size, and optioned with the right color and the right wheels it’s a real winner. The new C-Class is currently M-B’s best-selling model, with worldwide sales topping 415,000 for 2017. The 2019 model will retain the car’s basic shape, with redesigned front and rear bumpers and new standard LED headlamps and taillights. Two new colors will be offered: Mojave Silver (could there possibly be a shade of silver we haven’t already seen? 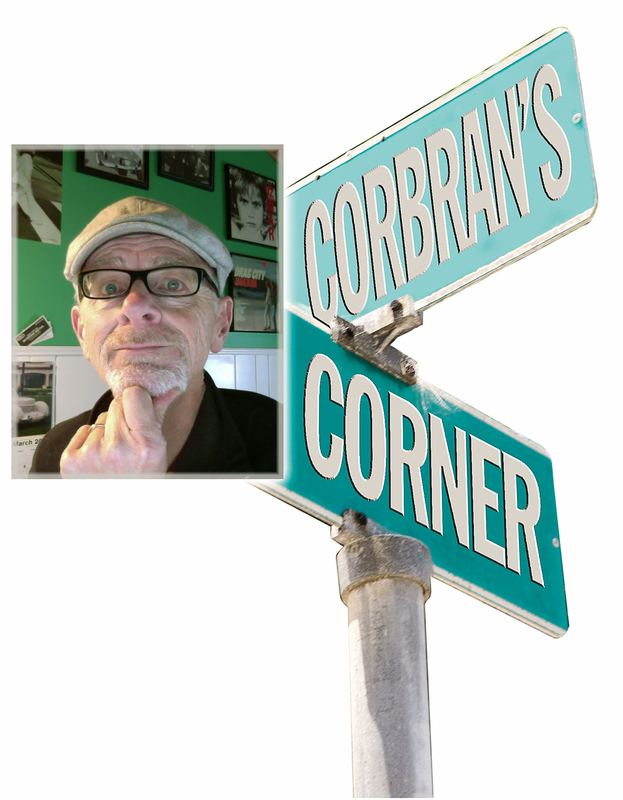 ), and Emerald Green (see the S-Class photo) which I’d love to see in person — it’d be a great car for the St. Patrick’s Day Parade! Inside, the new C 300 will be available with a center console adorned with natural grain walnut or grey oak wood veneer (real wood! 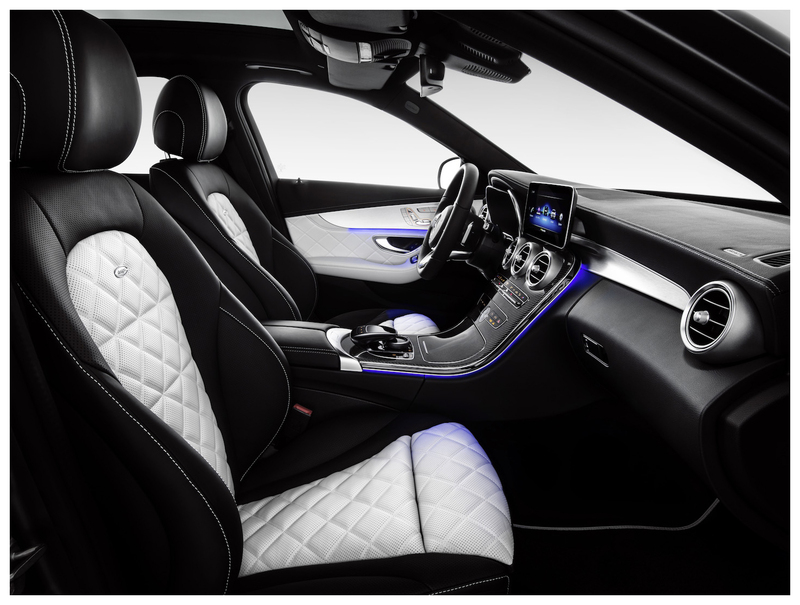 ); while a new grey/black upholstery combination will also be offered (as well as saddle brown or silk beige/black for the performance AMG model). Mercedes tells us that the instrument display concept of the larger (and pricier) S-Class will be adapted to the new C 300, with an optional fully-digital version available offering three different display styles: classic, sport, and progressive. The infotainment system can now be operated via the touchpad with controller, and will feature haptic feedback (don’t feel bad; I had to look it up, too!) which transmits “feelings” back through the controller to the user, much like the joystick on many video games. Under the hood? 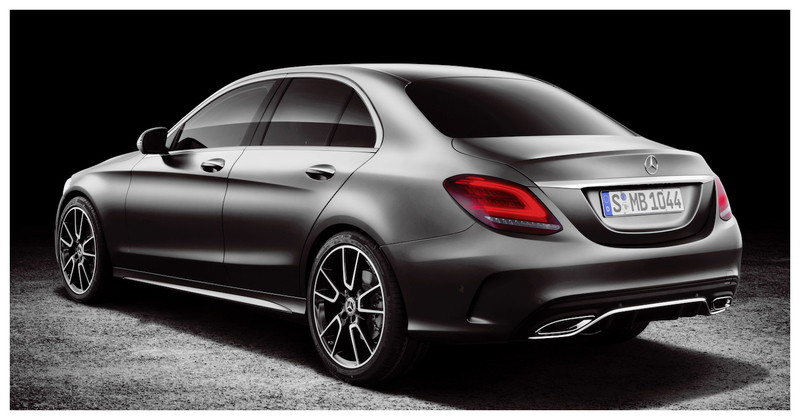 The 2019 Mercedes-Benz C 300 will have a new 2.0L inline-4 turbo which produces 255 hp. It’s also equipped with a 9G-Tronic nine-speed automatic transmission. Active Brake Assist will now be standard — which not only works with motor vehicles in the path of the C 300, but also with crossing pedestrians and cyclists; and a Driver Assistance Package will be offered which includes mapping guidance that can adjust speed for upcoming bends, junctions, and roundabouts. 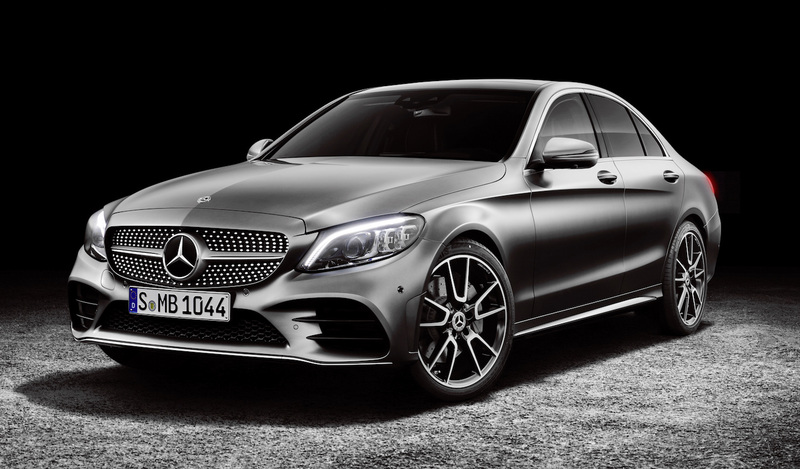 The new C-Class cars will be produced on four different continents: Bremen, Germany; East London, South Africa; Tuscaloosa, Alabama USA; and Beijing, China. It’s scheduled to go on sale in the US in late 2018.